Good branding and business identity are essential to any organisation. Here’s how these three nonprofits approach it. Anthea Iva, The Director of Redstone Marketing, asks three fundraisers for their perspectives. Not only does good branding improve recognition, create trust and provide a competitive advantage, it can, more importantly, build emotional relationships with donors. 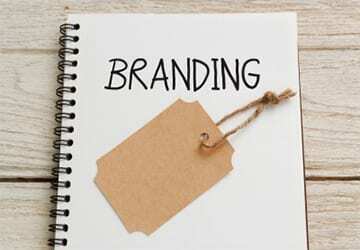 How important is branding and business identity to your organisation? Of course, it’s important – in fact, it’s vital. The real question though should be what are you doing to protect and promote your brand? Our brand is our reputation, how we are perceived and represents what it is about the Stroke Foundation that people have come to expect or rely on. It is important for health professionals and any other referrers to trust us, and that people who survive stroke have confidence in our service. It is also important that we have a very strong reputation with the media for sound opinion and that policymakers and politicians can rely on our advice. And, of course, it is vital for our survival and growth that the Stroke Foundation of New Zealand brand is highly credible with funders. What are the positives and negatives with your current branding? In 2016 we commissioned independent research to examine our brand awareness, with some clear and fascinating results. Overall, the Stroke Foundation is a very solid and trustworthy brand. We are pleased that our donor supporters view us as transparent, trustworthy, honest and relevant. This is a top result and is a consequence of some solid donor care work and communications we have carried out over quite a few years. The research also identified a range of attributes and values associated with our brand across multiple informant groups, which included being known to be dependable, well organised, knowledgeable, caring, helpful and reassuring. The good news for us is that there’s no negative associations with our brand. Our overview metaphor is a Toyota Corolla: reliable, comfortable and long lasting, but not very exciting to own and short on power and accessories. We’re not necessarily inspiring, but we are solid and trustworthy. Have you changed your branding in recent times or do you plan to change it? Brand development is a work in progress, and should be for all organisations all of the time. Currently we are being a bit more deliberate and active with the intention of lifting our brand profile to refresh and reposition the organisation. We don’t want to lose any of the current core positives of our brand but we are a lot more exciting, current and progressive than we’re perceived to be and we need to convey this more effectively. We are midway through a brand refresh/repositioning project, the results of which will be the creation of a fresh marketing plan and a new logo. Clearly a logo is not the brand, but we want to signal difference and a revitalised logo will help to send that message. We see our corporate identity and brand as being pivotal to representing our values and strengthening our reputation with donors and stakeholders. For us, our brand is more than just our logo and visual identity – we understand it is represented and built by everything we do, say and write in our efforts to support St Vincent’s Hospitals. We strive to embed our values of compassion, justice, integrity and excellence in the way we write our donor letters, answer the telephone, develop our events, communicate with others and, importantly, manage donor funds and report back. Ensuring our brand is synonymous with our values is fundamental to building trust with our supporters. Trust in our brand is, in turn, imperative when donors are making decisions to support our cause. We are privileged to be able to use the crest of the Mary Aikenhead Ministries, also used by St Vincent’s Health Australia hospitals, in our branding. This visually links us strongly to the internationally renowned St Vincent’s Hospitals and facilities we support. The inclusion of the legacy Curran Foundation name ensures that the heritage of our founders, Paul and Elizabeth Curran, will continue into the future, along with our reputation for caring for our donors. A current branding challenge is communicating our new role as a proactive fundraising organisation, now responsible for supporting special projects for St Vincent’s Hospitals in New South Wales, in addition to our more established role as a grant making organisation. Yes, we changed our branding in 2013 when we integrated responsibility for fundraising for St Vincent’s Hospital Sydney, St Vincent’s Private Hospital Sydney, St Joseph’s Auburn, St Vincent’s Private Community Hospital Griffith and the Curran Foundation under one umbrella. It was then that the new visual identity was developed to more closely align with the St Vincent’s Health Australia branding, and with a new call to action of ‘Support St Vincent’s’. We also launched our new domain name – supportstvincents.com.au – and are planning to relaunch this so it is more closely aligned with our current branding. We are constantly seeking ways to promote and build our brand and are supported in this work through corporate partners that have helped with strategy advice, introductions to networks, merchandise development and media contra. In 2017, we are ushering in a new generation of deaf children who listen and speak. This requires a collaboration between government, philanthropic, community and commercial funding partners to enable a dedicated team of professionals, parents and supporters. We reflect on the need to change the perceptions of and work with parents, professionals, politicians, philanthropists and the public to raise expectations for deaf children, change how people think they communicate and reduce the impact of this impairment on individuals, families and the community. This complex and complicated interplay between internal and external stakeholders means a strong and positive brand and business identity is vital to the long-term success of our clients and to our sustainability. Hear and Say turns 25 in 2017 so it has a significant history. 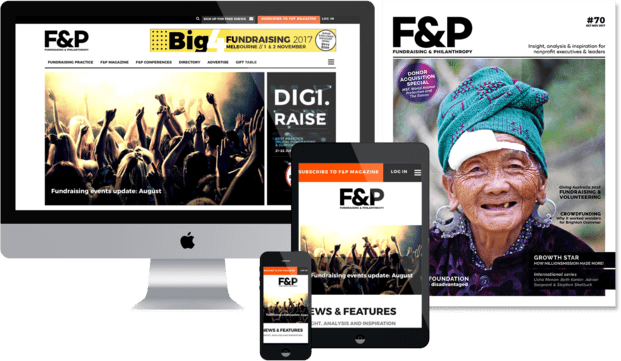 As a founded organisation, many of our stakeholders feel a very strong linkage between the organisational brand and the personal brand of the founder, which brings both opportunities and challenges. As our reach and impact expands, some partners find it difficult to grow with the increasing sophistication of the brand. Our strong paediatric focus over the years also means some external observers are unable to see the brand linked to anything other than childhood deafness and cochlear implants. Conversely, Hear and Say has been built on our reputation for excellence and family centred care, and this commitment to ensuring child outcomes means the brand remains strong for many stakeholder groups. In 2014/2015 we completed a capital campaign program for our Brisbane centre and headquarters’ building and, as a part of the associated organisational transformation, launched a new suite of brand artefacts including our logo, tagline and general ‘look and feel’. As the NDIS, new commercial competitors, changing customer expectations and the increasing complexity of the sector all impact on us, it is important that we remain relevant and respond to the changing needs of our children and families as clientele. While our core purpose will likely remain unchanged, opportunities to increase our reach and impact, in addition to the volatility, uncertainty and complexity of our changing market, means it is important that we continue to review the brand to remain relevant and contemporary. Image courtesy of everydayplus at FreeDigitalPhotos.net. Next ArticleBequest fundraising – how can film bring it to life?